Marisol Del Valle, also known as Dzhelasi, is a New York based artist and designer with a penchant for horror. Dzhelasi (deh-zah-LAH-see) started her career creating characters and items for various gaming websites. While she's done digital work for both print and web, she also uses traditional mediums such as paint, pencil, clay and fabric to create art pieces and products. 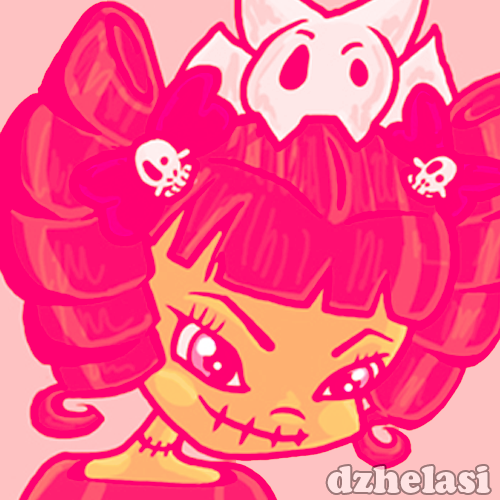 She is known for her creepy-cute art style and can usually be found on instagram drawing up artist trading cards.